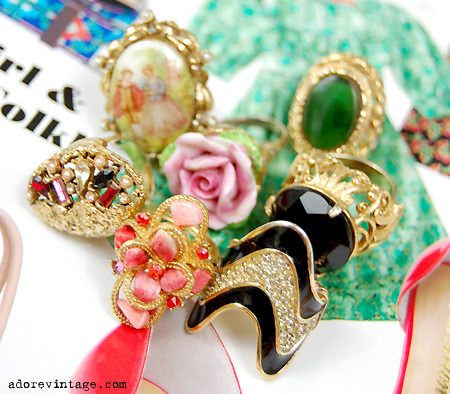 ADORED VINTAGE: Oh. My. Gaud. I haven't quite checked to see if they're signed or stamped with any designer names (like Avon, Trifari, Sarah Coventry...), but they're all such little knockouts signed or not. Visit our vintage shop in the next few days to see these little (or rather not so little) lovelies! Nice brouche where can I order this?